That’s right, dream pop from someone in Manchester. The city that’s infamous for having over 200 days of rain a year. The grey clouds of Manchester haven’t stopped Ryan Kennedy’s inspiration from Real Estate and other chillwave era bands, like Toro Y Moi, and Wild Nothing, and in the process, tweaking the production for a more, traditional Manchester, indie pop style. The glistening rhythms of vibrating, pop guitar tones has been well received for a while now across the globe, and this Summer favourite style, surfs like a true Californian across the waves of Venice Beach on Horsebeach. 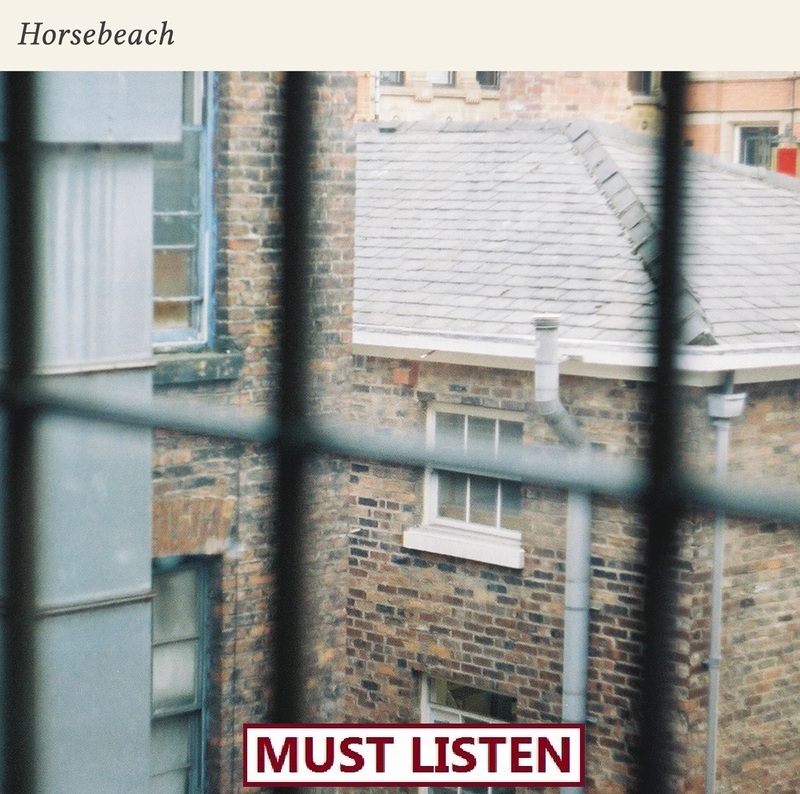 The ‘jangly’ melodies (as described by Piccadilly Record shoppers) of Horsebeach capture the magic of Real Estate perfectly, but retain a youthful vibe to counteract the shared reflection Horsebeach have with the New Jersey band. On lead single Faded Eyes, the youthful fluidity of Smith Westerns’ Soft Will, draws in as a key influence as the bright eyed pop anthem of Varsity leaks out onto the chorus of Faded Eyes, as a sudden burst of energy differentiates the track from other dream pop tracks currently out there, and creates a subtle similarity to Sales, with their brand of The Naked & Famous styled, energetic pop. But everything on Horsebeach isn’t as happy faced as the style of music may lead you to think. On What Problem?, Ryan sings about the double edged sword that is those suffering with states of depression, with the happy faced women secretly seeking a way out of her life when she should be experiencing her youth. The feel of Horsebeach throughout is one of optimistic happiness, as the odd, deeper line sneaks into your ear canal, for a moment or two of questioning of songs such as Even and A Place Like This with their intriguingly ‘different’ lyrics. However this confusion is created with a clash of slower melodies on Midnight, and Ryan’s vocals, as you’re not sure whether his voice is dreamy in the sense of you get lost in his words, or in the sense of a tormented poet who escapes the world with his lyrics. Either way, the guise of LA on this Manchester band’s songs, is inventive and enticing. The creation of a dream pop album, from a band who rarely see the sun is humorous to say the least. But once you escape the initial stigma, attached to both the genre and location of the band in collaboration with one another, something oddly beautiful is created. Even the artwork captures the essence of Horsebeach beautifully. A photo of compact, worn out homes at first glance, but once you pay attention, you can truly appreciate the quality of the photography. In a simpler sense, Horsebeach is literally the phrase, don’t judge a book by its cover, because it truly is something amazing once given even just a second of attention.